Discussion in 'ASUS AC Routers & Adapters' started by RMerlin, May 1, 2017. They didn't forgot to remove the unit pictures this times as in RT-AC86 model, which is a pitty. The Alpine CPU model on RT-AC9600 is AL5140 (Quad Core) 1.7GHZ, the network switch is a 5 port AQR107 (10GBiT) plus a Realtek 4 port switch Realtek (Gigabit), which is quite weird. So, 1x WAN + 4x LAN 10gbit + 4x LAN 1gbit. 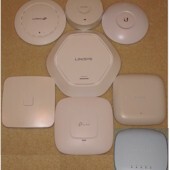 Wireless chipset QSR10G is entirely Quantenna inside for both radios 2G and 5G. 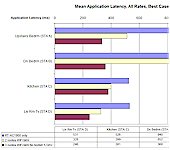 For delite of many the M.2 SSD availability is also present on RT-AC9600, just like RT-AC828 business model. I do not believe it's a joke? 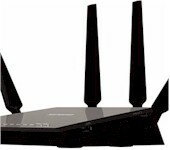 it's router for children ? So does the GT stand for something like Gaming/Gamers Tech? 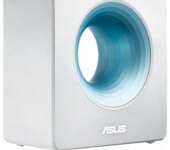 Just has me wondering if Asus is planning to make multiple router's with gaming in mind. So i wanted to ask about this, since i think it's a good question. Murtaza12, admiral2145, sfx2000 and 1 other person like this. netmik3 and sentinelvdx like this. My suggestion if in doubt is not get it until you see it on the market for a while and have some feedback. I totally support your toughts. Their 2017 motherboards also support Aura. Gamers like customizability - it sells. sfx2000 and hggomes like this. 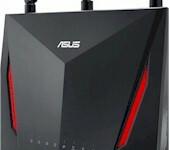 Does anyone start to see that router design is getting more and more like ASUS motherboard design by incorporating M.2 SSD slot, ASUS AURA. How about Intel ThunderBolt 3? USB 3.1 Type A/C etc? Clark Griswald, cybrnook and hggomes like this. @RMerlin it's RT-AC9600 not GT-AC9600. That's weird, all places I see says RT- including the GPL. But yeah the label doesn't lie, Gaming Router GT-AC9600, they should will fix the GPL at some point. so it has 10Gb/s ports LAN but only 1Gb/s WAN? How do the 4Gb/s ports connect to the 10Gb/s ports? Is it through the CPU via 1Gb/s. I really hope they dont get the internal design silly again with 10Gb/s interface but only 1Gb/s pipe to it. I already have 10Gb/s but it is 10Gb/s to the CPU too so i can have my file server be 10Gb/s and use LACP to make use of as much bandwidth as possible using multiple 1Gb/s. No, 5x 10Gbit ports (WAN included) + 4x 1GBIT ports. Marketing and R&D don't always align, until the actual product launch. Remember the RT-AC68U V2, it only got renamed RT-AC66U_B1 near launch time. Likewise, the RT-AC5300R got renamed to GT-AC5300 right before the actual product launch. There's nowhere in the code stating that, and in fact some information I had from other sources are telling me this is NOT the actual configuration.